Dropbox is a Personal Cloud Storage Service, Over 300 million people around the world rely on Dropbox to help them design buildings compose music, run businesses, and even coordinate disaster relief. Dropbox also makes if super easy to share with others, whether you.re a student or professional or don't have lots of technical knowledge.Even if you accidentally spill a latte on your laptop, have no fear! Relax knowing that your stuff is in Dropbox and will never be lost. Dropbox offers easy ways to share files or folders. Invite your friends, family, and teammates to any folder in your dropbox and it'll be as if you saved that folder straight to their computer, Shared folders are ideal for groups of people who would like to collaborate on the same files together.When you create a shared folder and add other people to it, its files will appear in their Dropbox just as they do in yours. any member of the folder can add, delete, or edit files within that folder. You can send people links to specific files, photos, and folders in your Dropbox, too. 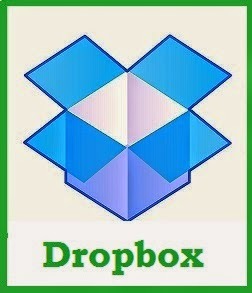 this makes Dropbox perfect for team projects, sharing party photos with friends, or recording your band,s debut album.